Happy 7th Anniversary to Watsons VIP Card! 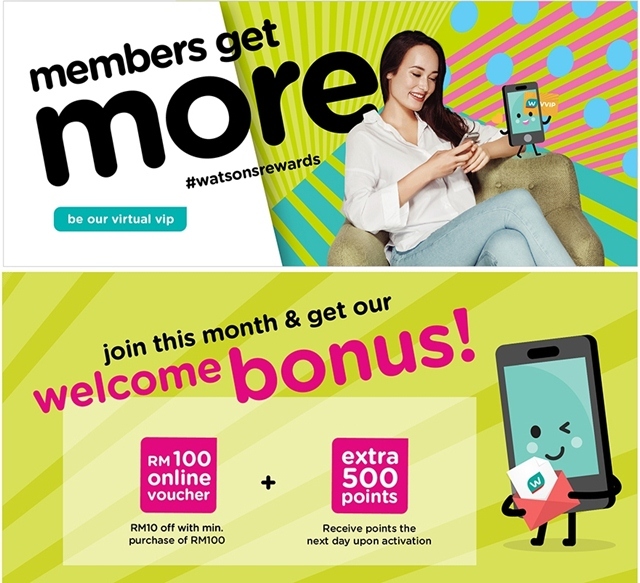 Well, as one of Watsons Malaysia VIP Members every September I will definitely look forward to #WatsonsRewards. Do you want to know what are the special deals, promotions, exciting offerings, members only sales, carnival in the malls from now till 2nd October, 2017? Hey! we were at Watsons Syok Members Anniversary launch at MyTOWN Shopping Centre, Cheras yesterday. There atmosphere was fun and happening as there are many activities for us to play to win prizes and points. Watsons VIP card members will certainly “look good, feel good” and feel syok as well. Let’s have fun!!! We started with the Toss & Win Game then move on to the Bingo Games where the winner gets 2000 Grab Points, and then the Duck Finishing Games. Once we completed all these games we can claim our tokens. I would suggest you go and grab a copy of Watsons Syok Sale catalogue, start to checking and marking the items that you want to purchase. Because from now till 2nd October there will be lots of surprises for you. Watsons VIP members get an RM15 off for 2 rides with Grab by using promo code “GRABWATSONS” its valid for new Grab users and limited to first 5000 redemption. If you want to win 1 milliom Watsons VIP points then you have to join their “Spot & Win” campaign by spotting the Watsons wrapped Grab car, snap a photo with the car and post it in Instagram. As Watsons VIP members we get to shop with a combination of cash and Watsons VIP points, have the opportunity to redeem free reward coupons worth RM300 with purchase of RM50 and above plus purchase exclusive items on sale up to 50% at all Watson Stores. Oh yes! mark your calendar Watsons Syok Sale Carnival at One Utama Shopping Centre’s Ground Floor Centre Court from 6th to 10th September and at Sunway Velocity Mall’s Vanity Atrium from 26th September to 1st October, 2017. Watsons VIP members enjoy great discounts, free giveaways, celebrities meet and greet sessions and many exciting activities plus entertainment. Popular TVB actresses Sharon Chan and Elaine Yiu will be making appearance during the Syok Sales Carnival at One Utama Shopping Centre on the 10th Sept, 2017. Do you know that there are 4 million members nationwide! If you are not a Watsons VIP member yet I would suggest you head over to the nearest Watsons store and get it so that you don’t miss our all the benefits. The Watsons VIP card comes with more health club rewards with more than 1000 #watsonsrewards merchant locations. Overall it was fun evening at Watsons VIP Card’s 7th Anniversary Celebrations with prizes and point to be won. After browsing through the Watsons Syok Sale 2017 catalogue I can’t wait to start my shopping spree and yes looking forward to the Syok Sales Carnival too. So many blogger going to this event yaa..
Wow best sangat kan! Ada rewards banyak tau. I dah cuba guna grab kod. Tapi untuk new user pula. Hampa. So i pi watsons je la shopping. Eh nanti pi 1Utama. Tengook happening karnival kat sana.